After the destruction of Washington, D.C. by nuclear terrorists on June 19, 2019, the country turned to the America United movement and elevated the movement’s leader, Gov. Everton, to the Presidency. A veneer of normalcy returned to the country, undercut by rumors of secret prison camps and mass arrests of suspected enemy combatants. Neuroscientist Clay Shieffer tried to ignore the growing police state. Then a mysterious hacker provides evidence of Clay’s unwitting complicity in the crimes that made Everton President. From Texas mansions, to isolated psychiatric hospitals, and to the gates of New Washington itself, Clay runs from Federal agents and the U.S. Army, and forges a rag-tag alliance to overthrow the tyrant. 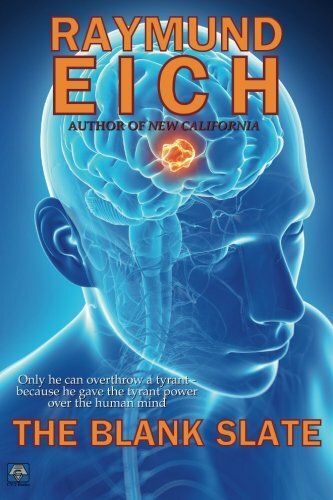 But President Everton now wields a weapon more formidable than a hydrogen bomb: Clay’s latest neuroscience invention….